Here at the iBox we actively encourage responsible Xbox gaming. We created our own unique party invitations that are available to download and print once you have booked your party. We have a wide range of games suitable for a broad range of ages. ‘PEGI (Pan European Game Information) ratings provide guidance to consumers (particularly parents) to help them decide whether or not to buy a particular product’. Therefore it is up to the parent who books the party to select which games they want to be played. Our party invitations indicate the ratings of age suitability, via check boxes, this then informs all parents. Please read our brief reviews of the games, and note the age range symbols. A small percentage of parents are brave (or mad) enough to organise a Sleepover party for their children and friends. The iBox has been providing children’s parties for six years and we have noticed bookings for sleepover parties gradually increase over those years. One of the common queries is ‘how late can you come?’ Let us assure you that our bedtimes are later than your sons or daughters so we will do welcome parties as late as you want. One added advantage of our Xbox parties are that a lot of noise and energy can be exhausted in the backs of our party buses and not in your home, giving you a well earned break and leaving you to put your feet up whilst we host the chaotic fun. Our birthday parties are arranged as a Minecraft Party, A Fifa League or Multiplayer Competition (typically racing & shooting games), if you decide to book us for longer we can mix and match those different party types, We also award a choice of prize for the winner and have lots of stylish products we offer as bundles that can be given to the invited kids as party bags, caps or mugs . Our party bus is quite unique as it organises the games into competitions, the original US concept developed ‘game lounges’ which offered a ‘free-for-all approach’ individual choice of game and console and typically had just a handful of large screens (typically 40″ plus) which the children played in lots of smaller groups as the consoles don’t link with each other and games are played on lower resolution split screen. The iBox set about a completely different concept as it provides one console and HD screen per player so that the group of children play together within the same games, far more sociable and fun. Our HD screens are 24″ but because the children are sat at close proximity to the screen they get a completely immersive experience of the action, they are also positioned at a comfortable eye level height as opposed to one amusing example we have seen recently which will no doubt lead to sore necks and frustrated children as the screens are ridiculously far away. Another concern for parents when hiring entertainment is will they turn up? The prospect of anticipating a large group of children in your home without entertainment fills most parents with utter derad. The iBox has been asked several times recently if we can cover for other companies that have let them down at the last minute. There is nothing worse than the thought of organising a children’s party and to find out with very little notice that their only vehicle has broken down or they have gone out of business and are not answering their phone. 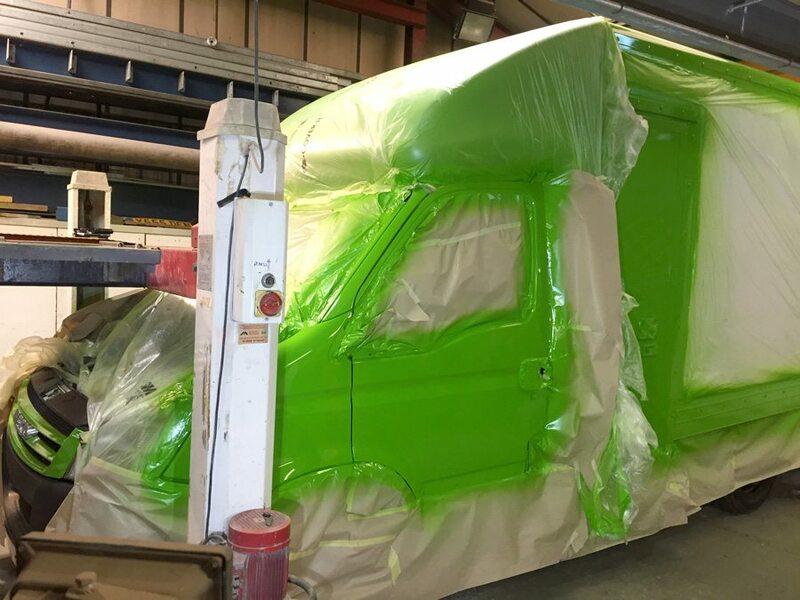 The iBox has no such concerns, we have very recently just completed our 3rd vehicle which will only be used occasionally for busier periods but can be on standby for any sudden mechanical issues. To organise your sleepover party use our availability form or contact Ben on 07966 360880. The iBox has teamed up with a fantastic family friendly restaurant which is perfectly located just off the A627(M) between the M62 (J20) & the M60 (J21). 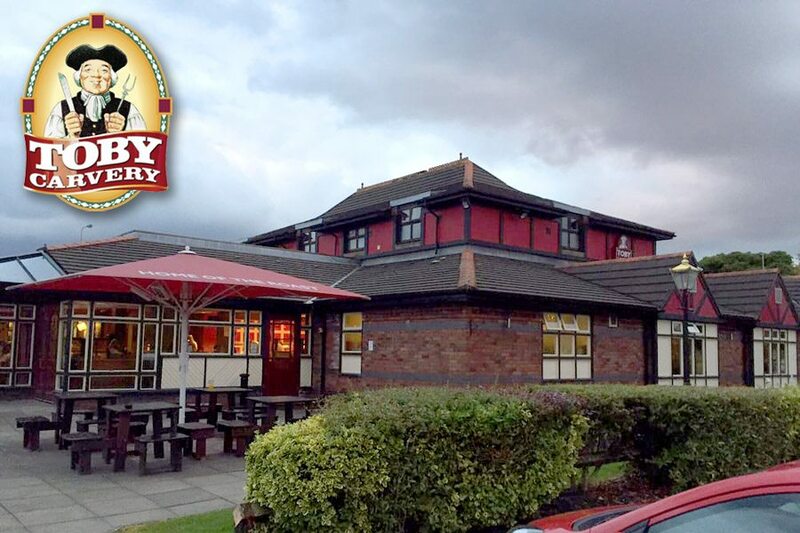 Toby Carvery Chadderton Park, Oldham, Manchester offers the perfect setting to accompany your child’s Xbox birthday party or any other celebration. Offering plenty of parking and being so close to these motorways makes this an ideal place to meet up. 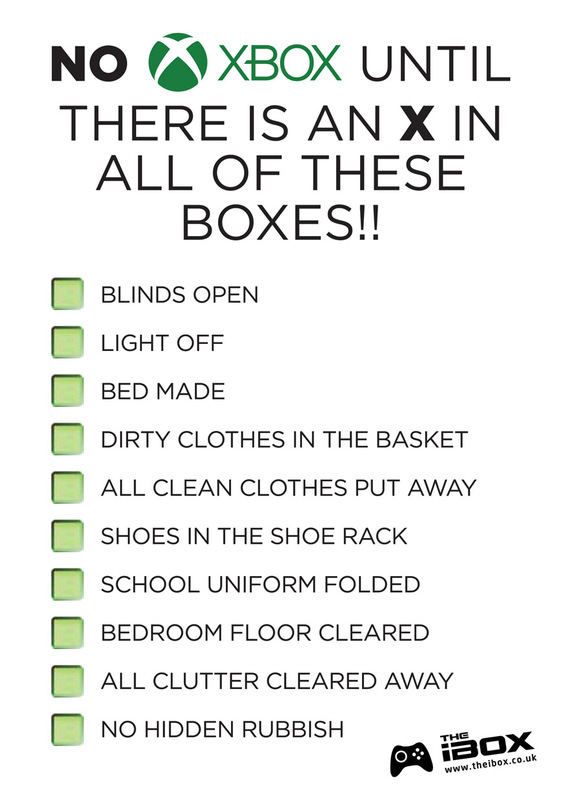 With such a mouthwatering menu some parents will surely be tempted to dine-in between drop off and collection. The iBox has been successfully delivering children’s parties since November 2011, in that time the iBox has collaborated with many different family venues across the North West to give parents as much choice as possible. Some parents opt to host their kids party away from their home for a number of different reasons: They prefer not to have the intrusion of children in their home, they have limited parking outside their home or it’s simply far more convenient. At Toby Carvery there are plenty of menu options. Children’s Meal Deals are from £4.99. So if you are looking to hire the iBox and live in Chadderton, Middleton, Rochdale, Heywood & Oldham and any other nearby districts in Manchester, wouldn’t it be a good idea to let Toby Carvery cater for your children’s party! For more details about our Xbox parties we have a FAQ page. If you would like to enquire about our availability, please use our Rates Quote Form and we will get back to you within 24 hrs. We will also arrange your booking with Toby Carvery. We are so excited to get our 3rd vehicle on the road. Having started our business 6 years ago, we added a 2nd vehicle two years ago and made both of those party buses available in the Lancashire, Manchester & Liverpool regions as a 2 x party bus experience, which enables 18 children to race and battle against each other at the same time!! We have been surprised at how many people have booked this option as it does cost twice the price to book. We would love to be able to discount this but because both vehicles are getting booked up independently we cannot offer a discount for booking both, we do however offer a bundle of 18 x drawstring bags with this option worth £40 from our shop. Question is will a gaming enthusiast want to book all 3 vehicles??? If so we can offer Call of Duty Battles for a maximum of 24 players!!! Imagine how much carnage and fun would result from that event. If Call of Duty isn’t your game, 3 iBox Party Buses could entertain up to a maximum 36 children…. that really would be one epic party!! 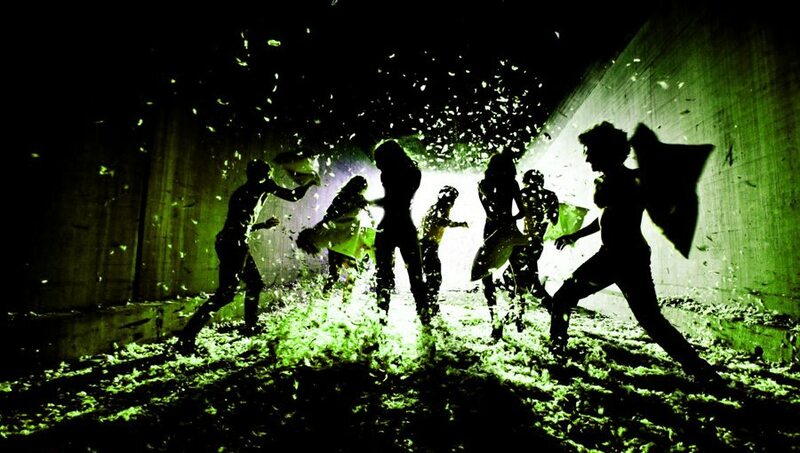 It could also provide businesses with a fantastic team building experience for corporate entertainment. For more information and endless possibilities, please contact Ben on 07966 360 880 or contact us via our Contact page. 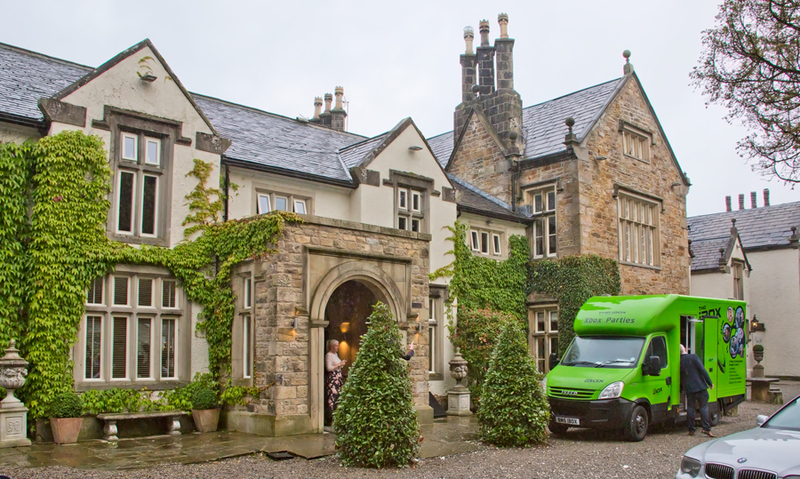 Another successful wedding entertainment booking, this time at Mitton Hall, a fantastic location near Clitheroe. I’m sure you’ve experienced many wedding receptions with children running round creating havoc, it’s not really their fault, there’s just not much to keep them occupied. The iBox solves all this as children of all ages are naturally drawn to playing on video game consoles, now they get to play inside our Xbox party bus together under our trained supervision whilst the adults can relax stress free and enjoy the wedding reception. A wedding is understandably the most important day of a Brides & Grooms lives, selecting the best available options are key to making this day a success. Our wedding entertainment rates are not increased for these occasions either, our rates are exactly the same as our birthday party rates. You can hire our purpose built entertainment vehicle for 4 hrs from just £340, each vehicle can comfortably entertain between 9 – 12 children. If you anticipate larger numbers we have multiple vehicles which can all be linked together, 2 iBox vehicles will entertain up 18-24 children, 3 iBox vehicles will entertain 27 – 36 children. View our rates & booking page. 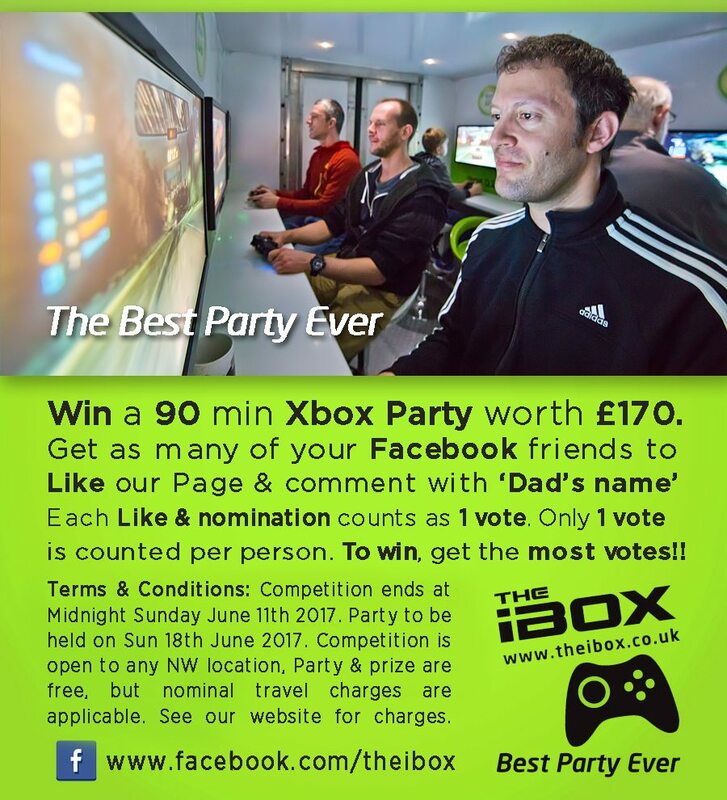 Booking another iBox Party with us? Booking the Best Party Ever, is enough of an incentive in itself to book again, we will soon be celebrating one customers 7th party, many have booked several times. For those who haven’t booked again we have come up with a fantastic new incentive. 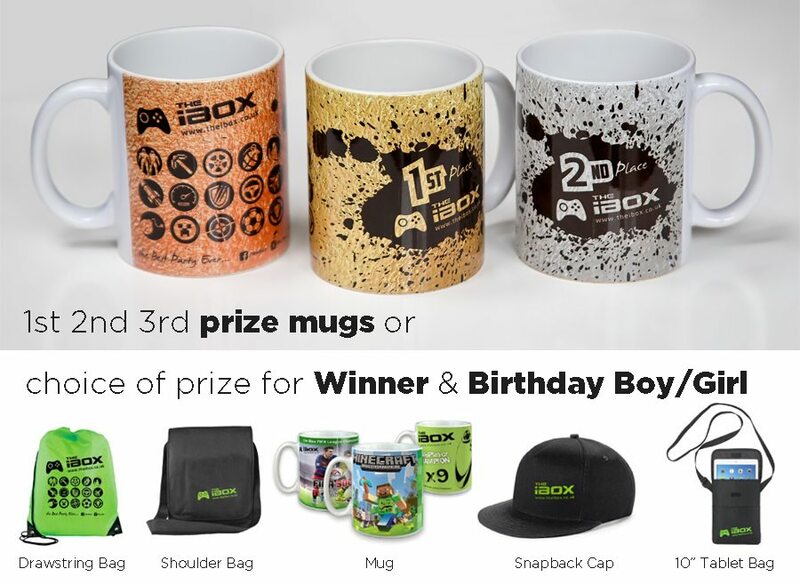 We are offering 3 x new 1st, 2nd & 3rd place iBox mugs or your party will come with a choice of 2 prizes. One for the winner of the competition and one for the Birthday Boy or Girl, of course if they win the competition then the runner-up gets a prize. We run our Xbox Parties from our specially converted party buses all over the North West, from as far north as Cumbria to North Wales, Liverpool & Manchester areas. Fill out our rates quote form on our rates page and we will get back to you with availability. https://www.theibox.co.uk/wp-content/uploads/2017/06/Loyalty-rewards.jpg 210 900 Ben Barclay https://www.theibox.co.uk/wp-content/uploads/2016/09/iBox_logo-1.png Ben Barclay2017-06-16 14:15:582017-06-16 14:17:35Booking another iBox Party with us? Another Xbox party giveaway, this time we are treating Dads on Father’s Day. They could take on the kids or have a few mates round for Man-time!! The iBox was created by Dad’s from a passion and enjoyment of video games. Playing them by yourself is fun but when you involve your friends and all compete against each other at the same time, fun gets taken to a different level. To win this party, simply get as many of your Facebook Friends to like our Facebook page, then nominate Dad’s name. Each like & nomination count as one vote, the Dad with the most votes wins the party. The competition ends at Midnight Sunday June 11th 2017, the party must be held on Father’s Day Sunday June 18th 2017. Party & Prize are free but nominal travel charges apply if you live outside a FY postcode.